The Copper Rectangle Tray was designed by Cindy-Lee Davies as part of an expansion of Lightly’s 2014 ‘Metallics ‘ Collection. Lightly have worked with small boutique makers we admire and support to hand make these timeless homewares in Copper. 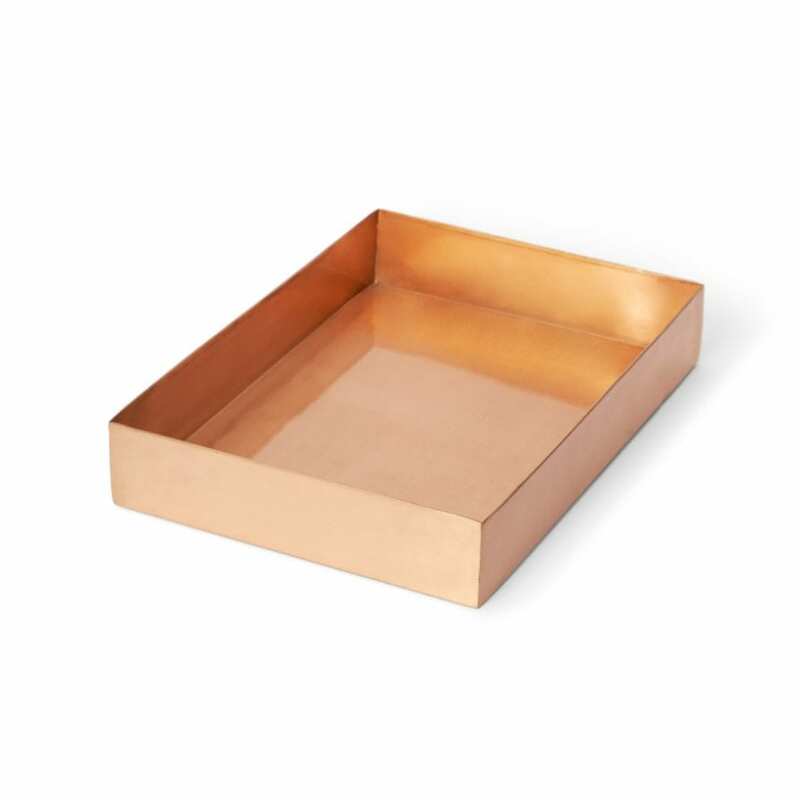 This Copper Document Tray is ideal for stylishly organising any working or living space. Care Instructions: If necessary, apply Brasso using a soft cloth or sponge to retain copper's shine over time.